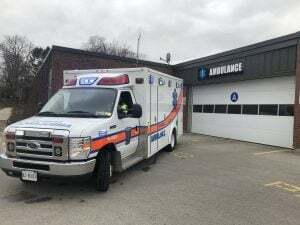 April 12, 2019 — It’s about to get even harder to miss an approaching ambulance in Norfolk County. Instead of red and white flashing lights, Paramedic Services’ newest vehicles will be equipped with lights that are red and blue, making them easier to see at night and in snow, fog and rain. The use of red and blue flashing lights has been shown in studies to be more visible and more easily perceived by drivers. The first two ambulances equipped with red and blue lights will hit the streets in the coming days. The rest of the fleet’s lighting will be updated (at no additional cost) as older vehicles are replaced. The move comes after the province’s Highway Traffic Act was updated to allow for flashing blue lights on emergency vehicles.